Streetscapes are our most important public spaces. We drive, cycle, walk, run, sit, relax, work and live on them. Streetscape Canada encourages Canadians to reclaim these precious public spaces and make them healthier, cleaner, safer, more beautiful and more prosperous for all. There are only 5 Elements to Streetscaping and the return on investment is extraordinary. 1. TREES AND PLANTINGS include considerations for plant species, shade, spacing, canopy, colour, root chambers, fixed or movable planters, as well as green storm water management plans. 2. UNDERGROUND UTILITY LINES include considerations for joint trench design, at-grade or below grade equipment, Smart meters and fault detection, lamp posts, WI-FI, fibre capacity, Smart sensors etc. 3. STREET DIMENSIONS AND PAVING include considerations for “Complete Street” designs for pedestrians and cyclists with widened side walks, cycle lanes, accessibility, traffic volumes and patterns, traffic calming measures, medians. parking requirements, transit requirements and surface materials and design. 4. 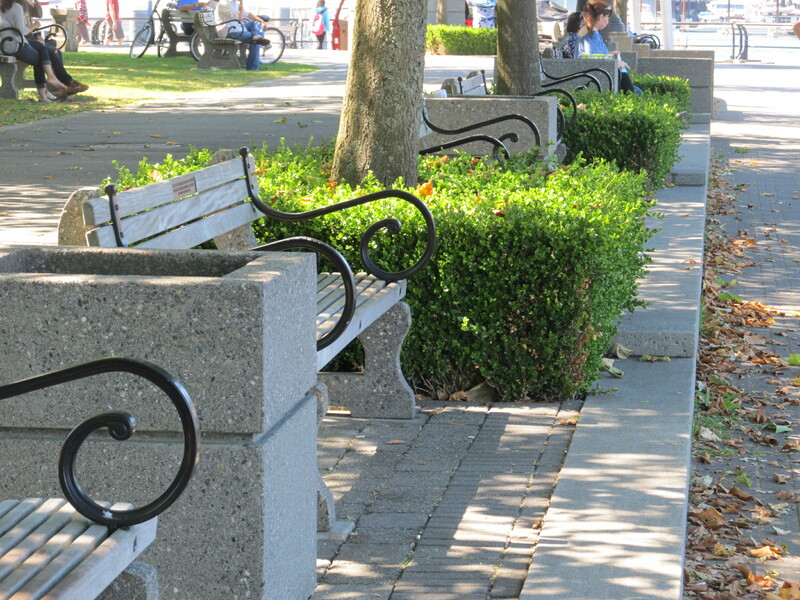 CURBS AND SIDE WALKS include considerations for side walk widths, cafe seating, bulb outs, dedicated or integrated cycle lanes, side walk materials, accessible curbing, storm drainage choices especially green storm water management utilizing planting swales, rain gardens and permeable surfaces. 5. FIXTURES AND FURNISHINGS include considerations for LED lighting, Wi-Fi, Smart Sensors, flexible seating, waste receptacles, water fountains, movable planters, public art, way-finding and signage. Street by Street and Block by Block Streetscaping Proves it’s Worth! Building Beautiful in Beautiful British Columbia! Canada’s Premium Retail Streets Get Streetscaped! 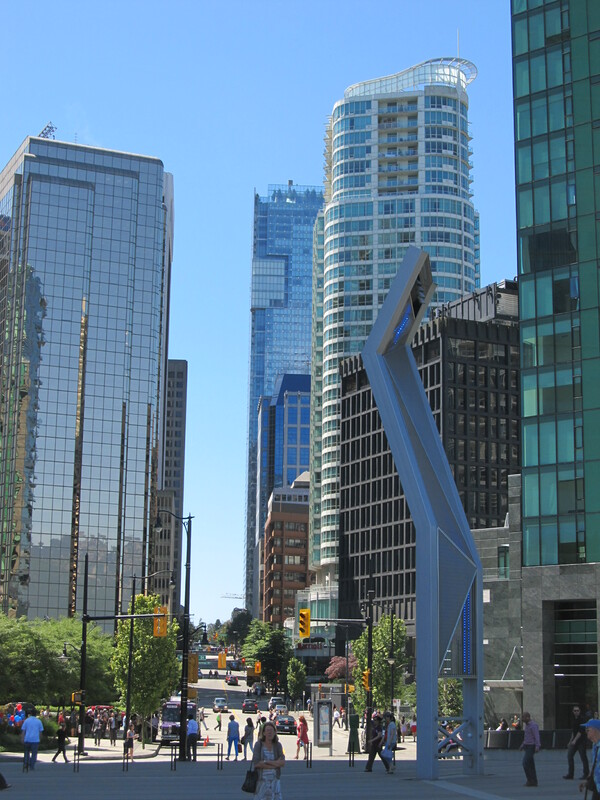 Canada’s Largest, Wealthiest City Finally Embraces Streetscaping! Street trees make us happier! 2015 Will Be The Year Of The Street!